Giant class enjoyed their 'Whizz bang rockets and space' trip on Tuesday! 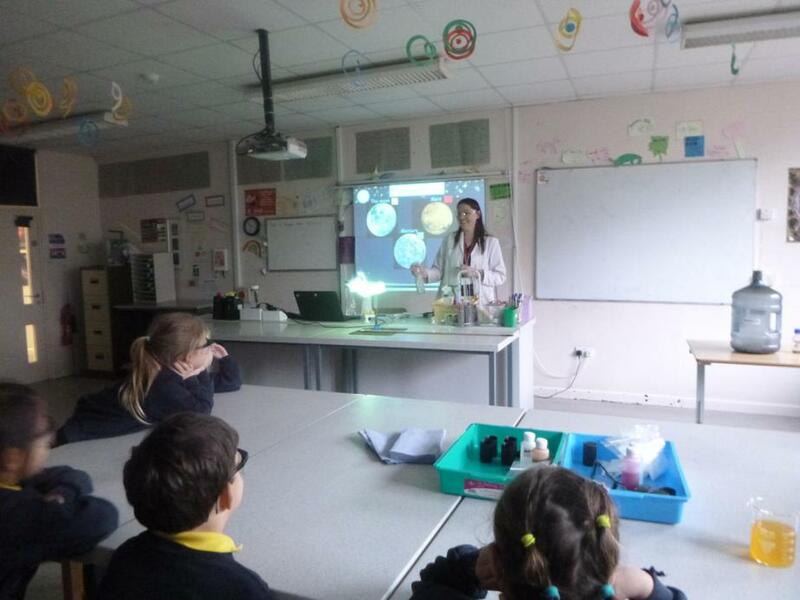 We went to visit Thomas Hardy School and met a teacher in their science department. We pretended we were flying on a rocket to the moon! We dressed up like scientists, wearing safety goggles to protect our eyes. 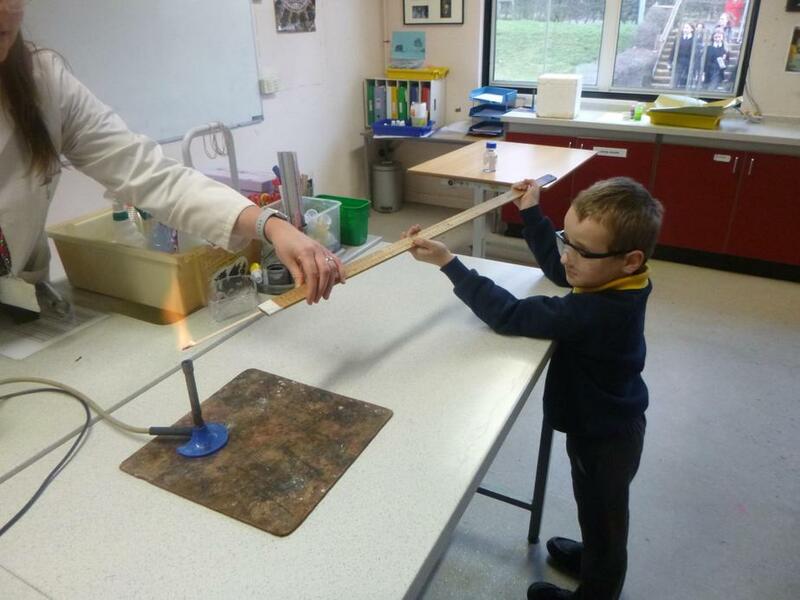 Then we carried out different experiments and tests, making our own rockets, burning fuel to power the big rocket, spraying different chemicals over the Bunsen burner flame to see which planet we had landed on and burning the energy from a jelly baby to power our rocket home back to earth! We are looking forward to more space fun and learning next week!